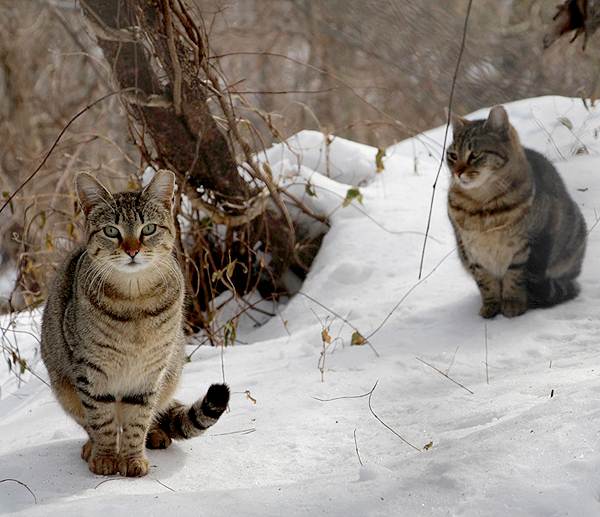 The pioneering TNR group prepares for a Staten Island project involving more than 1,000 cats. In my 16-plus years with the Humane Society of the United States, the nation’s largest animal protection organization, I’ve gotten to know many wonderful people around the world caring for community cats — and the feral-cat rescue group Neighborhood Cats leads the way for street cats in New York City and around the world. Whereas about 85 percent of pet cats are spayed or neutered, only two percent of community cats (feral and stray) are sterilized. Community cats produce about 80 percent of the kittens born each year and are the most significant source of cat overpopulation. I met Neighborhood Cats co-founder Bryan Kortis almost 10 years ago, and he became my mentor about all things feral. His entry into the world of community cats started one autumn day in 1999 on the Upper West Side of Manhattan. “I noticed a young kitten playing in the grass behind the iron fence,” said Bryan. “I knew someone who worked with a rescue group so figured this would be no problem – I’d catch the kitten and pass her along to my friend.” Then he saw two more kittens running around, then two more after that. Realizing he was in for a lot more than he had first thought, Bryan and a couple of other neighbors began poking around and soon discovered there were 30 community cats and kittens living in the inner courtyards of that block. 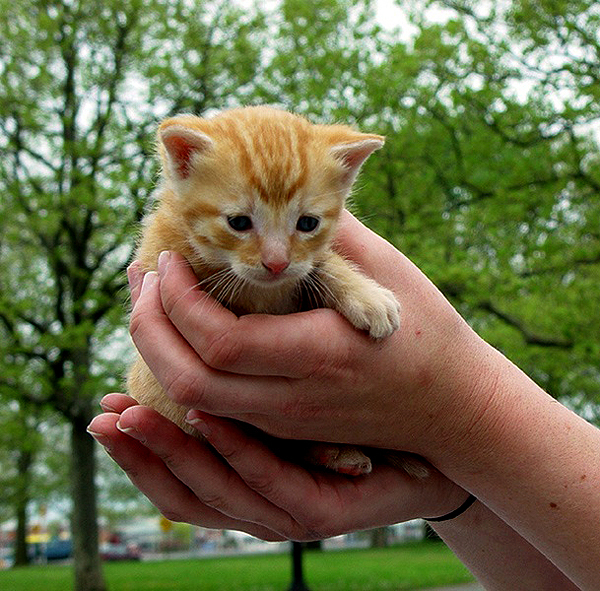 Back then, there were few services available for street cats in New York. Animal shelters were all full, and, anyway, feral cats were too afraid of people to be adopted into homes. The situation Bryan had found was repeated thousands of times throughout the five boroughs of New York City. 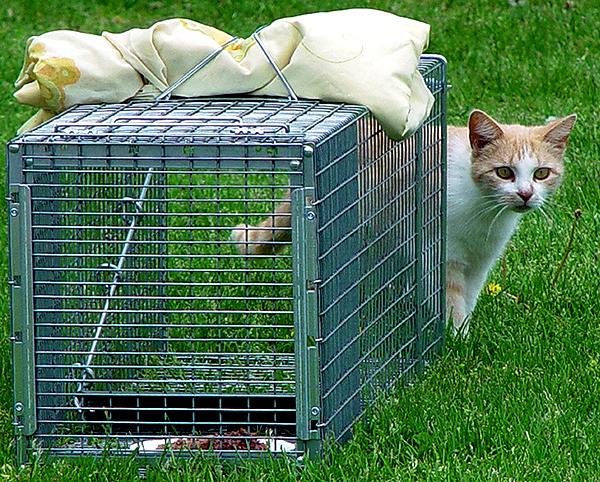 On a suggestion from Anitra Frazier, a cat author friend, Bryan and his fellow rescuers decided to try Trap-Neuter-Return (TNR), a relatively unknown strategy to reduce the number of community cats, improve the quality of life for the cats and their human neighbors, and stem the tide of cat overpopulation at its source. So, the rescuers trapped the entire group, known as a colony. The healthy feral cats were spayed or neutered, vaccinated, marked with an ear tip to signify they were sterilized, and returned to their outdoor home because they couldn’t be adopted out by animal shelters. The rescuers did not return kittens who could be socialized (basically, learn to like people) or friendly adults, since they could be adopted into homes. Soon other Upper West Side residents learned of the TNR project and wanted the cats behind their buildings fixed, too. Bryan and his fellow rescuers formed a non-profit, Neighborhood Cats, and began offering their trapping services to others. Calls started coming in from all over the city, and it was too much for the small group to manage alone. So Neighborhood Cats began offering training workshops to teach others to care for community cats. To date, more than 6,000 residents have attended, and the model of educating everyday people to do TNR themselves has been copied across the U.S. The group authored Neighborhood Cats TNR Handbook: A Guide to Trap-Neuter-Return for the Feral Cat Caretaker. Now in its second edition, the handbook remains the primary educational resource on colony care in the animal welfare field. Always looking to remain on the cutting edge of community cat care, Neighborhood Cats is now undertaking the largest TNR program ever in New York City and using the relatively new strategy known as targeting. “Thanks to a grant from PetSmart Charities, we will be spaying and neutering more than 1,000 community cats in the borough of Staten Island over the next year,” said Susan. Another, newer focus area for the group is located in New Jersey just across the river from lower Manhattan. To access the group’s free educational materials and learn more about TNR and caring for community cats, visit www.neighborhoodcats.org. You can even support the group’s great work by purchasing a faux fur coat. Now through Dec. 31, 2014, Neighborhood Cats is teaming up with Storets, an online fashion designer and retailer, on the Fake It For the Cats campaign. The limited edition faux fur coat, complete with the Neighborhood Cats logo stitched into the inner liner, is available for purchase, and all net proceeds will be donated to Neighborhood Cats. 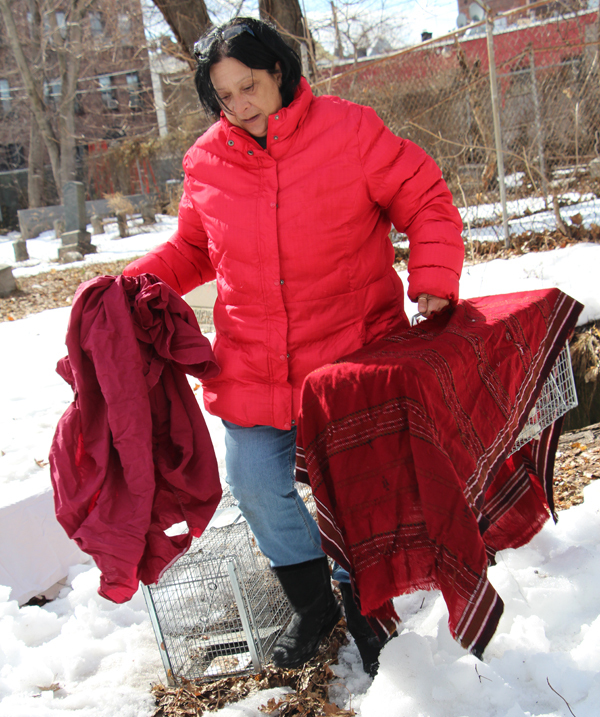 To order your coat and help community cats, go to click here.